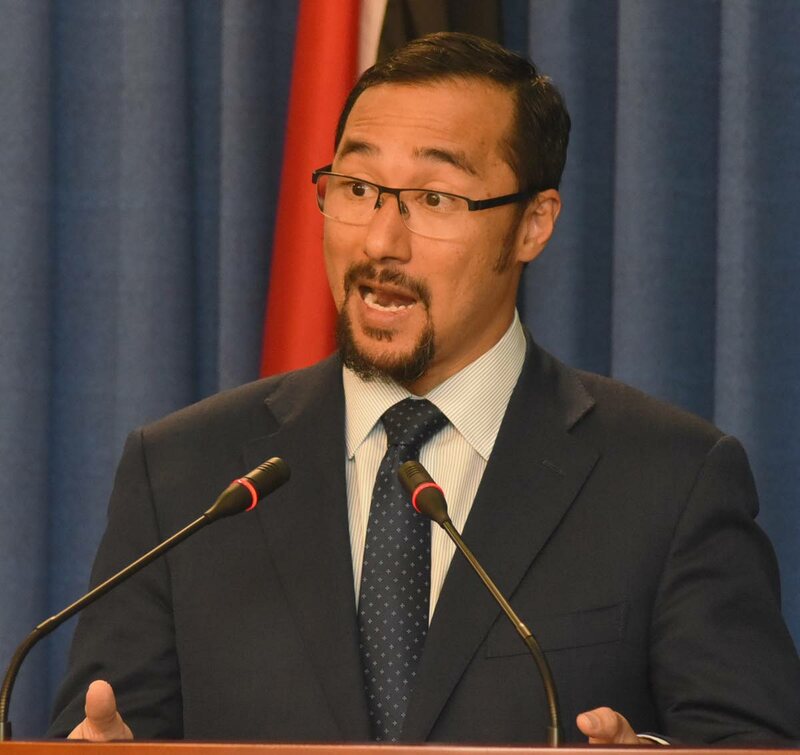 NATIONAL Security Minister Stuart Young yesterday dismissed claims from the Opposition that TT was not invited to a meeting with United States President Donald Trump, because of its foreign policy stance on Venezuela. Trump will meet with the leaders of the Bahamas, Jamaica, St Lucia, Haiti and the Dominican Republic in Florida tomorrow on security and trade matters. UNC MP Rodney Charles and UNC activist Devant Maharaj have claimed TT was blanked because this country recognises Nicolas Maduro's presidency while the US recognises Juan Guaido as interim President of Venezuela. Speaking to reporters at the Diplomatic Centre in St Ann's, Young said Cabinet will discuss this issue when it meets at the same venue today. "I am really not interested in what the Opposition has to say," he declared. Young said government is "very aware that the Opposition pushes false narratives and distortions of the truth." He did not rule out the possibility of the Prime Minister speaking directly on the issue. On March 3, Dr Rowley said he was not disappointed that a meeting between a Caricom delegation (of which he was a member) and US Secretary of State Mike Pompeo was cancelled. He said Caricom maintained its position of non-intervention in Venezuela, non-interference in Venezuela's internal affairs, provision of humanitarian aid through the UN and solving the "dual presidency" situation through dialogue. Young said he is tweaking the policy that will allow Venezuelans to work for a year in TT. That policy, he said, will be going to Cabinet next week. Young said there is no determination of a physical cap on the number of Venezuelans the policy will cover, at this stage. He said there may be a cap in the period time for registration. Young stressed all of this is subject to Cabinet's approval. Reply to "Young dismisses "blank" claims"